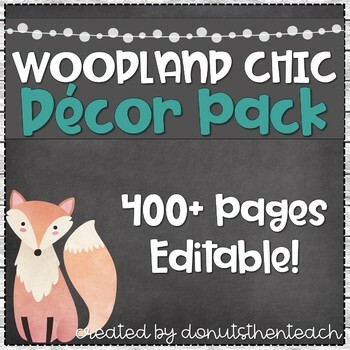 This classroom decor bundle will go perfectly in a woodland or forest themed room! The shiplap and chalkboard work well with any rustic themed classroom as well! Almost everything in this bundle is editable. You will need PowerPoint to edit those portions. Some of these items will be posted individually and bought separately in my store - so you can go there to see in depth previews. This massive resource will create you a perfect woodland wonderland! :) Please let me know if you have any questions prior to purchasing.